Funny winter hats featuring animal heads and faces made their way onto the style scene this season. Though considering they showed up late in the game, the trend will likely continue next winter as well. 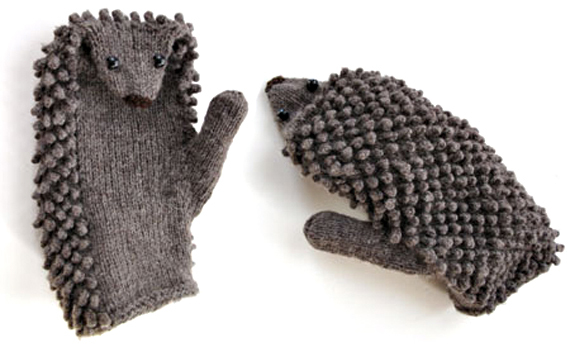 Get ahead of the curve with a pair of Hedgehog Mittens. But don’t just run out and buy a pair, with this KnitKit from Morehouse Farm, you can create your own! For about the same price as a pair would cost you, the kit includes yarn, the pattern, and bead eyes. You’ll need your own needles, but if you’re still reading here, that shouldn’t be a problem. These Cat Gloves Have A Kitty Tail On The Index Finger...!